'Stranger Things' Promotional Poster. 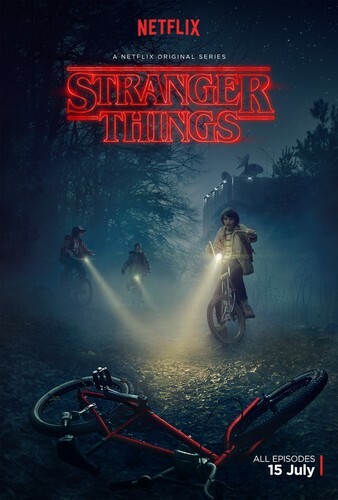 Promotional poster for season 1 of 'Stranger Things'.. HD Wallpaper and background images in the Stranger Things club tagged: photo stranger things tv series netflix season 1 bikes promotional poster 2016. This Stranger Things photo might contain animado, cómic, manga, historieta, anime, and dibujos animados.